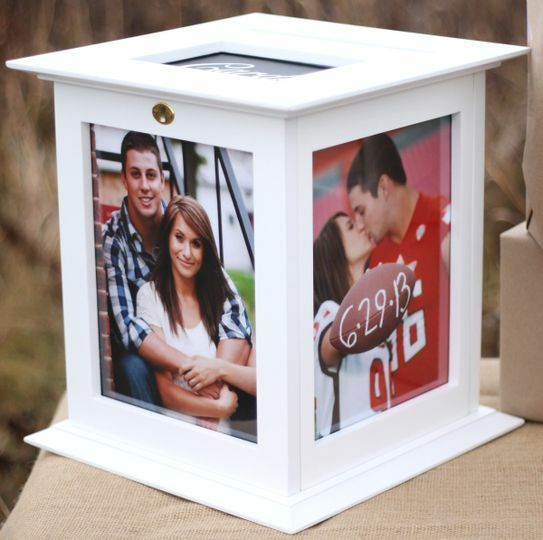 The Perfect Card Box®; a wedding card box that will beautifully display your engagement photos and hold your greeting cards at your wedding! This unique Wedding Card Holder locks to keep your cards safe and rotates 360 degrees on a base so your wedding guests will enjoy your photos on all 4 sides of the card box. 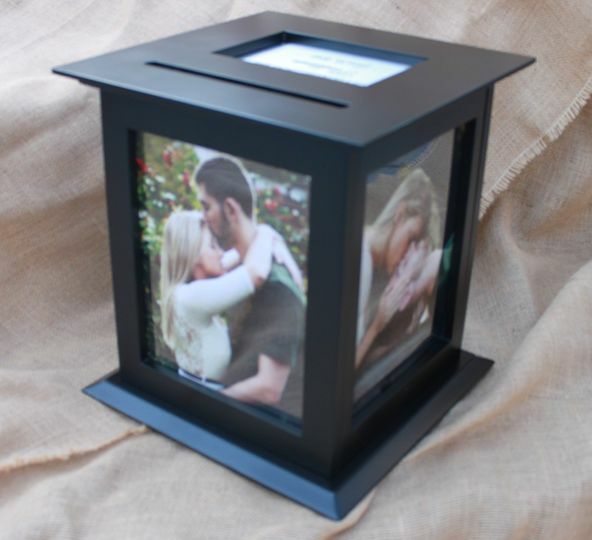 THE PERFECT CARD BOX® is a patented picture frame wedding card box that allows you to simply insert your photos into the card box just like you would in any photo frame. 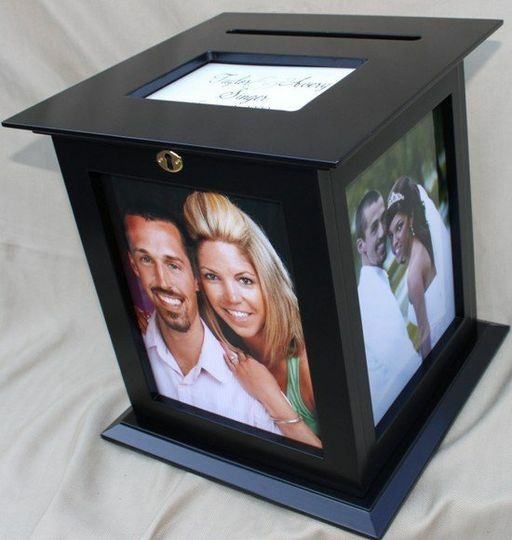 Your wedding card box as a "keepsake box" after your wedding is PERFECT for holding your cake topper, guest book, cake and knife server, champagne glasses, invitation, party favor and other special mementos. 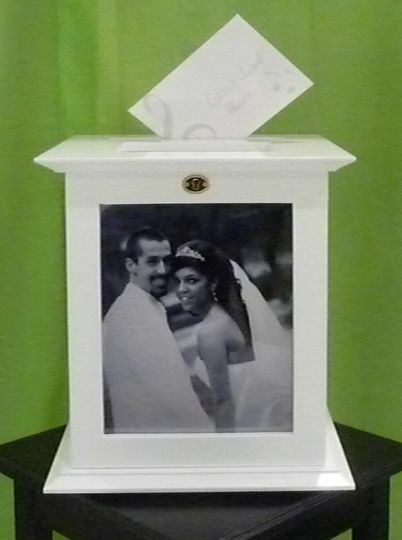 PLUS it makes a nice addition to any room in your home after your wedding not only for holding your keepsakes but also to display your beautiful wedding day photos. 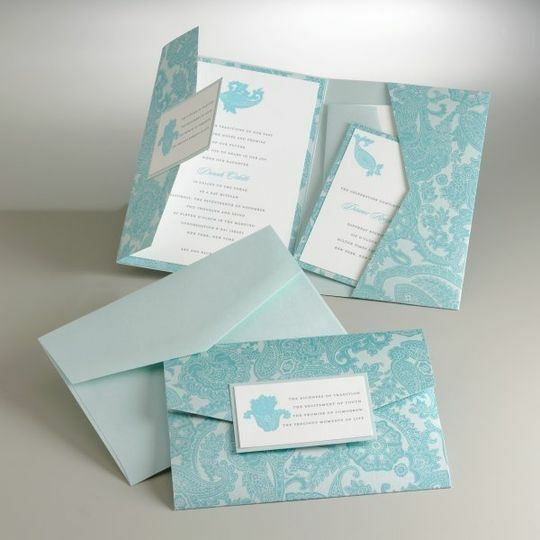 This card box is great for other celebrations to; graduations, bar mitzvahs, birthdays, silver or golden wedding anniversaries, retirement parties, bridal or baby showers, baptisms, first communions, fund raising events or raffle drawings. 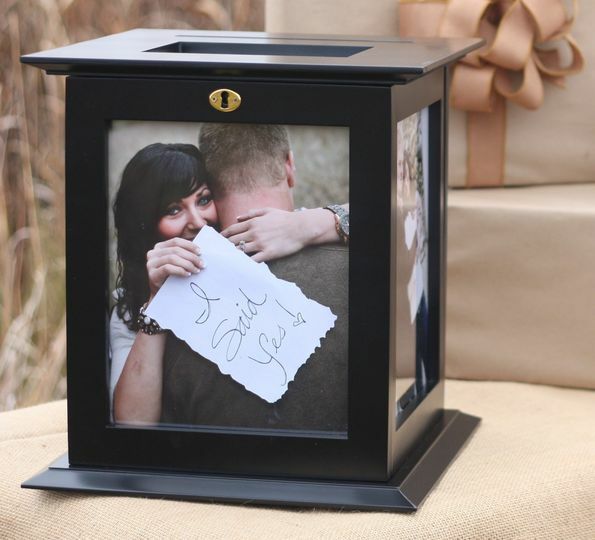 Any celebration where a card will be brought is a perfect place for this photo holding card box! 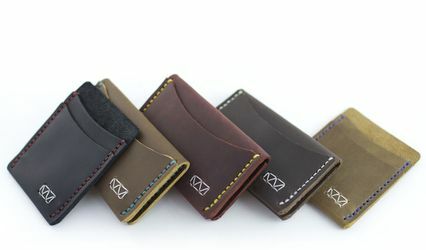 The card box design is patented and the name trademarked! 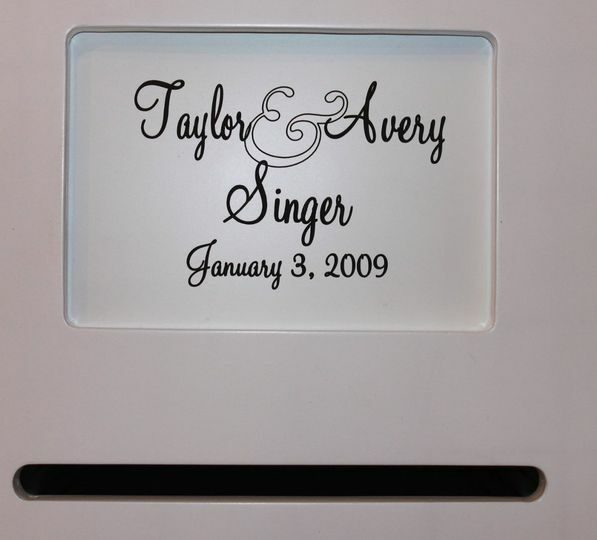 White Wedding Card Box that locks and rotates on a base! Rustic Wood Wedding Card Box with chalkboards. 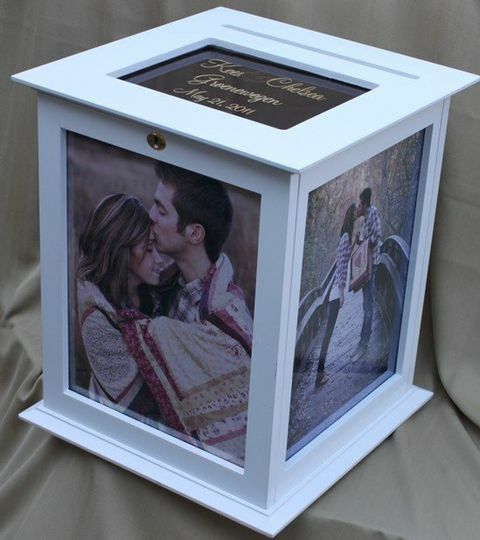 Wedding Card Box holds cards and displays photos! My mom was really anxious about having a card box that would lock. This ended up being a great solution. 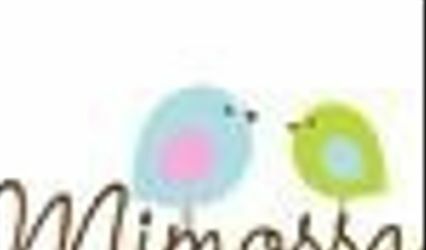 It is very fun, easy to put together, and can be easily repurposed for a baby shower or housewarming or other events. It was also a great way to use our engagement photos. I ended up having to spend extra with this vendor because #1-i ordered the WRONG wedding date (my fault). she let me order a new sign thank fully. then #2- my DOG ate the top of the box. She again also let me order a new lid for it. Fast communication regarding all my issues and card box is larger than i thought it would be. the lock is a little tricky, but once you get it, it works fine. my friend who is also getting married also purchased one. 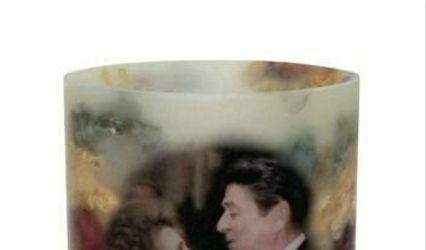 these are also able to be repurposed after the wedding, and i like that feature. Check out our review on ETSY and AMAZON. 5 STARS! 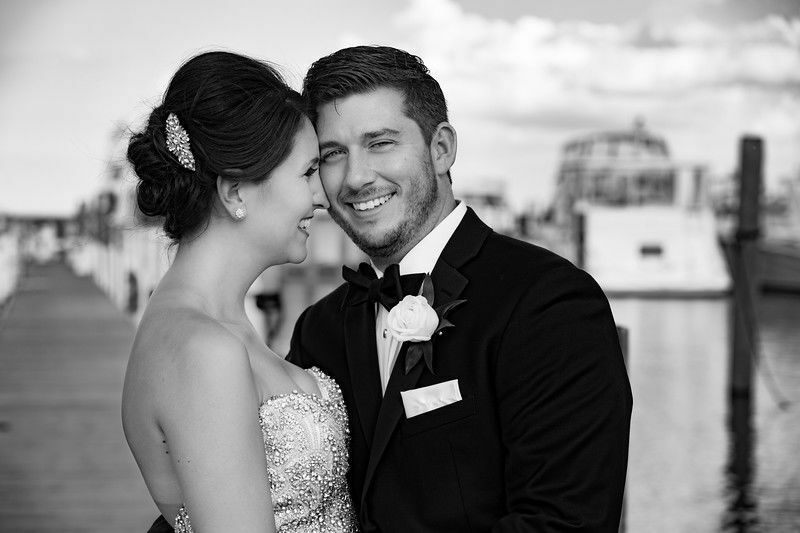 As a valued wedding wire customer, enjoy $2.00 off the purchase of any of our card boxes. 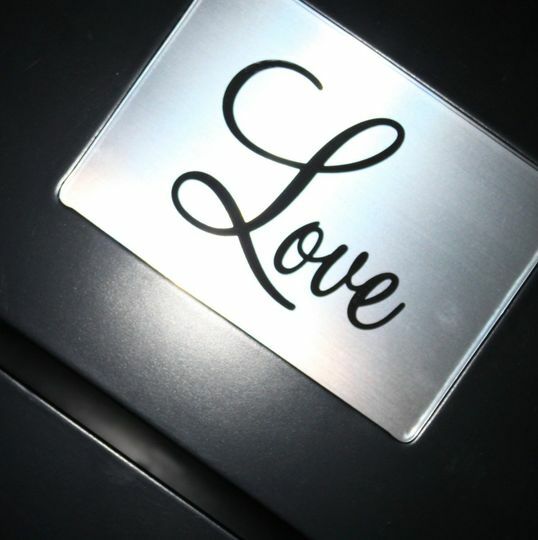 You can choose from our black, white or ivory wedding card boxes. 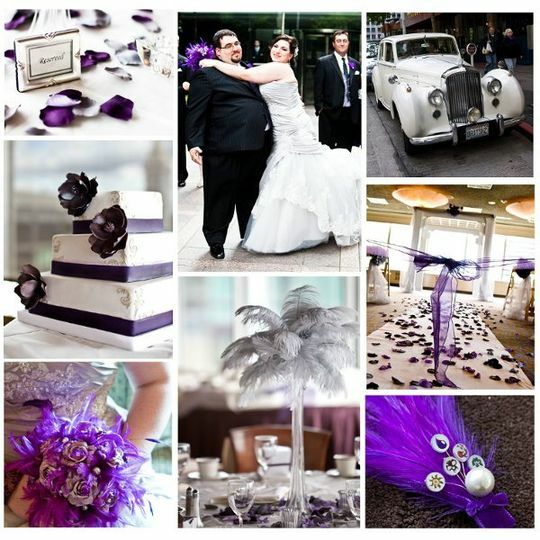 Visit our website www.theperfectcardbox.com and enter code: weddingwirebride for your $2.00 off! 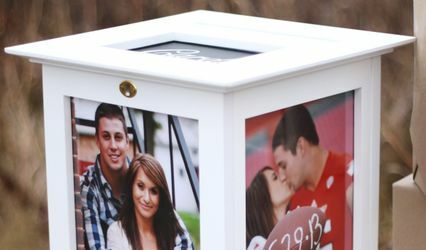 The Perfect Card Box is just that; an excellent way to share your engagement photos with your guests as they drop those wonderful cards with monetary gifts inside! 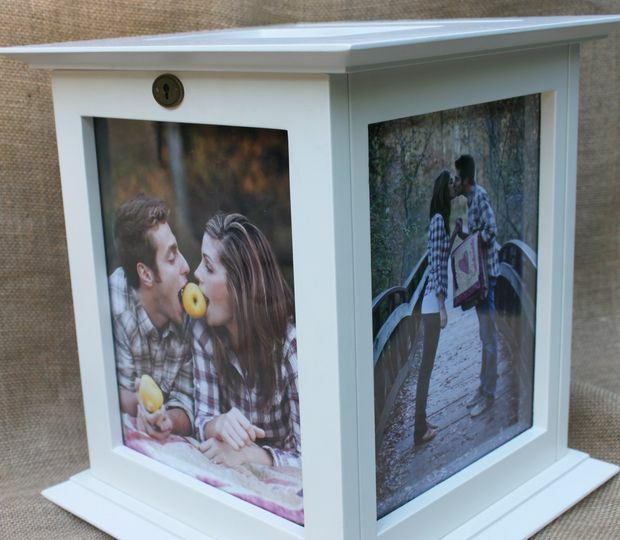 A great personal touch for your wedding gift table!